Where we stand in the IRS review of our PPA prototype and volume submitter plans. The expected timing of employer restatements for PPA. Special plan design features we will introduce with our PPA pre-approved plan documents. DGEM features that facilitate the restatement process. Other DGEM features that make it the best document option. Everyone is invited to attend. You do not need to be a current ASCi client. Please note that this webcast does not provide continuing education credit. In May of 2005 ASC and the principals of GBA, Charles Lockwood J.D., LL.M. and John Griffin J.D., LL.M, joined forces to bring you the ASC Institute (ASCi) – a premier source for retirement plan documents, education and ERISA compliance consulting. Since that time ASCi has expanded to thousands of plan document users, an education arm that offers online continuing education classes, and a growing private ERISA consulting business. 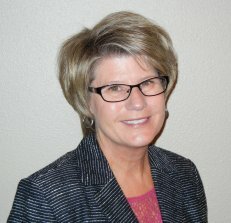 To handle the increased volume ASCi has hired Dawn Johnson, CRSP to join the team. Dawn brings 25+ years of experience in the retirement industry along with a strong positive attitude to her new position at the ASC Institute (ASCi). If you have questions about using ASCi Plan Documents or ERISA in general, you’ll most likely be communicating with Dawn, as she works with Charles Lockwood and John Griffin to draft and support the DC and DB Plan Documents. “Dawn is a great fit with ASC and the ASC Institute. She has the strong ERISA, Plan Document expertise and just as strong inter-personal skills needed to help clients with their questions and problems. We’re thrilled we found her and that she could join our team,” says John Griffin, a founding Principal of the ASC Institute. Prior to joining ASCi, Dawn had worked in most facets of the DC business as a Relationship Manager, Retirement Operations Manager, ERISA Consultant and Risk & Compliance Manager with extensive experience in consulting, document design and compliance. Dawn had the opportunity to get to know Charles and John when they jointly developed a plan sponsor workshop and in-house ERISA training. Dawn has FLMI and CRSP designations and is currently working on her QKA. Dawn grew-up on a farm in southern Nebraska where she developed her work ethic and learned the value of hard work. She is a graduate of the University of Nebraska-Lincoln. Dawn is married, loves to read, garden, and spend time with her family and friends. Additionally, Dawn is an avid bowler and (finally) attempting to learn to golf. She is an NDSU Bison and Nebraska Husker fan and she tries to attend as many football games as possible. If you do have questions for ASCi – you’ll receive the quickest response by logging the question in the Online Client Support Center on “the Wall”. ASC Update Meeting: Register Today! Join us for the 2nd annual ASC Client Update meeting in National Harbor, Maryland. You’ll have the opportunity to meet ASC staff in-person, discover new ways we’re using technology to boost your efficiency and much more. The event is being held the Sunday morning before ASPPA Annual sessions commence, October 27, 2013 from 8am – 11:30am. 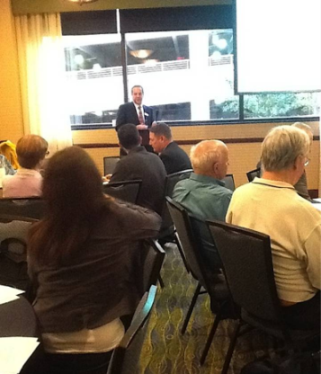 Alan Gould, President of ASC, welcomes ASC clients to the 2012 Update Meeting, providing an overview of what’s new at ASC. Michelle Dysthe joined the ASC team as a technical support analyst in 1999. Michelle grew up in Charleston, SC and always thought she would make her home there. Her career plans temporarily brought her to southern California where she met her husband, Scott – that was over 20 years ago! Michelle and Scott currently reside in San Diego with their son, Elijah (11) and their daughter, Leilani (10). Michelle is a graduate of Duke University with a BS in Computer Science. Her diverse career background includes work with various software vendors, work as a trainer, a certifier, a conversion manager, a technical support specialist, and a programmer. Michelle began her career as a plan administrator being involved in all facets of administration, and she eventually worked her way into the software development side of the industry. Q: How did you come to ASC? A: Three years prior to working for ASC, I worked as the ASC trainer for a multi-office company who was converting to ASC. When ASC had an opening in support, it was a natural fit. Q: What has surprised you the most about working for ASC? A: I didn’t expect to have such a great group of people to work with. ASC has been like no other place that I have worked, in that everyone is working to help the clients and that is the goal. When I need help, all I have to do is ask and that is quite nice. Q: What qualities in your co-workers do you appreciate the most? A: I appreciate the kindness that my co-workers show. They are a very hardworking group of people who are always willing to help. Q: What do you enjoy most about working for ASC? A: I enjoy working with the clients. Sometimes, I am solving the same problems over and over, but what makes this interesting are the people I am working with. I also enjoy being able to learn new things with my job. Since I work in the computer and networking areas, there are always upgrades and new systems to explore. Q: Why did you choose this career? A: I did not purposely choose this career – it kind of chose me. Frankly, my first job in the retirement industry was being hired as a plan administrator and I only took that job so I could relocate to that area. My education is in both finance and computer science, so the retirement industry offered me a lot of opportunity. As a plan administrator, I worked in all parts of the business – client development, plan implementation, all areas of plan administration, and even plan termination. When I was hired by another retirement plan software vendor my career developed and started to include my computer background. Since that time, I have been a trainer, certifier, programmer, and support technician. So the retirement industry has been a great place for me to explore different facets of my career. Q: What career goal(s) are you still working toward? A: Currently, I stay very busy trying to keep up with all the environment changes and how they affect ASC. With new operating systems, system configurations, and remote access it is challenging to understand the changes as well as how it might affect the ASC clients. Along with staying current, I also strive to further my programming skills by programming special ASC projects. Q: What are the main skills that you put to use on a daily basis in your job? A: I would have to say the main skill I use on a daily basis is really listening to what the client is saying. Because I work with networking, computer, and environment type issues the answers are not always black and white. So, I have to listen to the problem carefully. One of the important parts of finding a solution is being able to define exactly what the issue is. Q: What lesson have you learned on the job that you still keep with you today? A: When I am involved in a particularly difficult problem, I have to remind myself there is an answer and we will find it. Sometimes you need to take a break and then look at the issue with fresh eyes or discuss it with others to get input. Many years ago, we had a client who kept having freezing issues. We checked all the normal things over and over and finally discovered that the freezing often occurred at lunchtime. The problem turned out to be that the server was plugged into the same outlet as the microwave. When the microwave was running, ASC would often freeze. Plugging the microwave into another outlet resolved the ASC issue. So, there is always an answer! Q: Do you have a role model? Who is it and why? A: My role model for work is a man I worked with in the early 90s. I admired his work ethic and strive to emulate it. He also taught me how to take a problem or project – analyze the issues in detail and then provide detailed solutions. What was unique about his work was the emphasis he placed on understanding the issues and detailed preparation. Q: How would you describe yourself? A: I am a fairly easy-going type “A“ kind of person. Most people see the easy-going part and I try to keep the type “A” to myself. Q: How do handle stress? A: When I feel stressed, I try and organize my way out of it. I plan my time to include more exercise and fun along with the tasks I need to accomplish. For immediate stress relief, I like to do stretching exercises. Outside of work, I like to read, garden, and attend dance classes. Q: What’s the most important lesson you’ve learned in your life? A: The most important lesson I have learned is that when something “bad” happens there are blessings that usually come from it if you are willing to look for them. My first experience with this lesson was losing my job because of Hurricane Hugo in 1989. My boss sold his business and I had to relocate for another opportunity. If I had not done that, then I never would have met my husband (of 18 years). Q: What’s the one accomplishment you’re most proud of? Why? A: I would have to say the one accomplishment I am most proud of is my children. Elijah and Leilani came to us at a very early age as foster children. They had already been through a lot for being so young. Elijah is now 11 and Leilani is 10. They are wonderful children and I feel blessed to be their parent.